One of my favourite things to read by surprise is a Loesje poster. If you think that sounds a bit strange, well it is but in good way that makes you think. Loesje is a Dutch collective of people who aim to make the world a better place through posters with thought-provoking statements. Some of their statements are humorous, some are confronting and some simply make sense in a unique way. To make a statement effective and provoking there are often two ways of achieving that. The first way is to launch a statement in the most spectacular and hyperbolic way possible just to be noticeable. Think of French presidents. Each French president has to make a statement of “I am a great president” by making a landmark monument or institution in the Paris region. It might seem silly but the physical statement of intent is there and in your face. The second way of making an effective and provoking statement is by almost understating your statement. No spectacular and exaggerated antics, just a simple presentation, medium and format that is immediately perceived at perception. 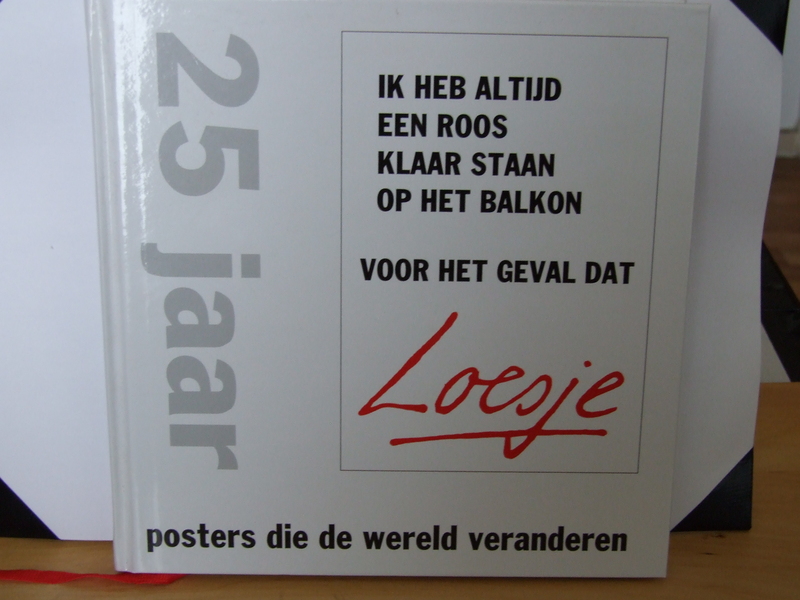 When you look at the cover of the book you understand what Loesje is about: a message in black letters on a white background on a childishly simple poster. In short, the core message is all that matters. Loesje has been active for decades now and their messages are still as effective. Some posters are about typical everyday topics and some posters dig a bit deeper. When I mention “dig a bit deeper” I have to give a good example like the following poster. 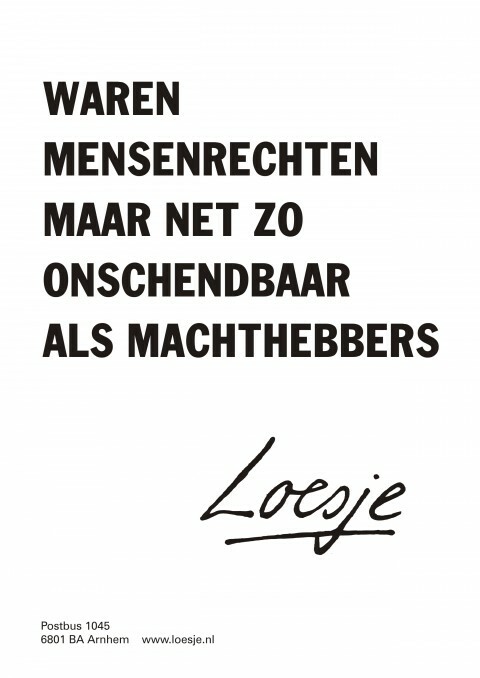 This poster is courtesy of http://www.loesje.nl and available on their website. The issue addressed says that as much as human rights are perceived as irrevocable in modern society, sometimes political rulers do not treat human rights as irrevocable. Sometimes political leaders make exceptions to the rules and rights in their own favour. Since the birth of human civilisation and politics these exceptions will always remain an issue. Plato and Machiavelli wrote works that are still relevant today. Posted in Books & Music and tagged 25 Jaar, 25 year anthology, collective, confronting, core message, dig a bit deeper, Dutch, everyday, human rights, humorous, hyperbolic, Loesje, make sense, people, poster, posters die de wereld veranderen, simple presentation, spectacular, statements, topics, understating on December 25, 2014 by rura88.